It’s that time of year! It’s time for JAMS Festival 2017! Don’t miss this signature downtown Jamaica event with live performances, scrumptious food trucks, multi-cultural vendors, urban artisans, sports activities, health and wellness, community information, zumba, kids rides, exotic foods and lots more fun. Labels: It’s that time of year! 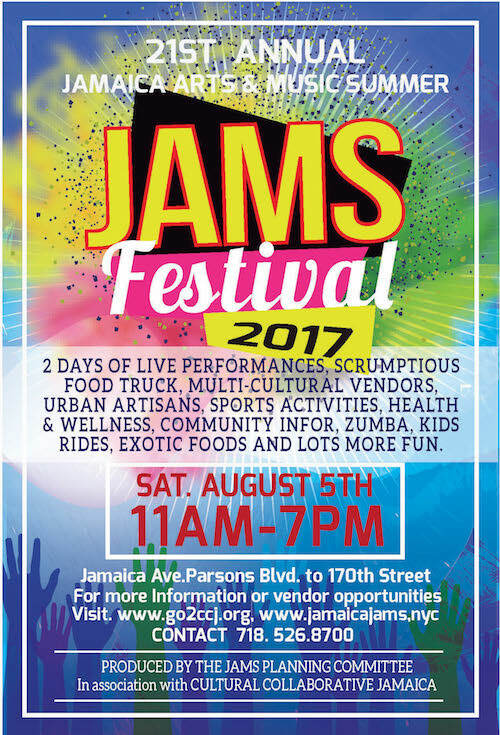 It’s time for JAMS Festival 2017!